Join us this Summer at Pilchuck Glass School! 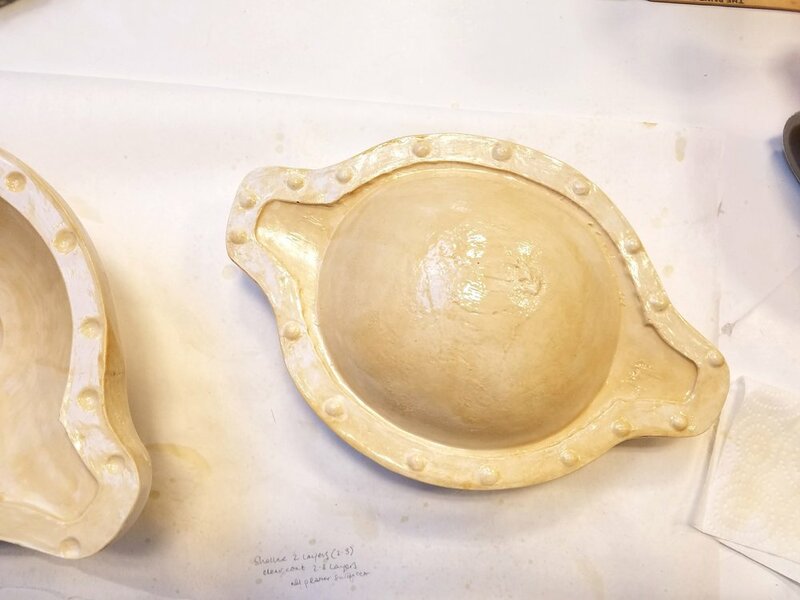 Exploring the intersection between positive and negative impressions, this course will combine historic and contemporary moldmaking and printmaking techniques. 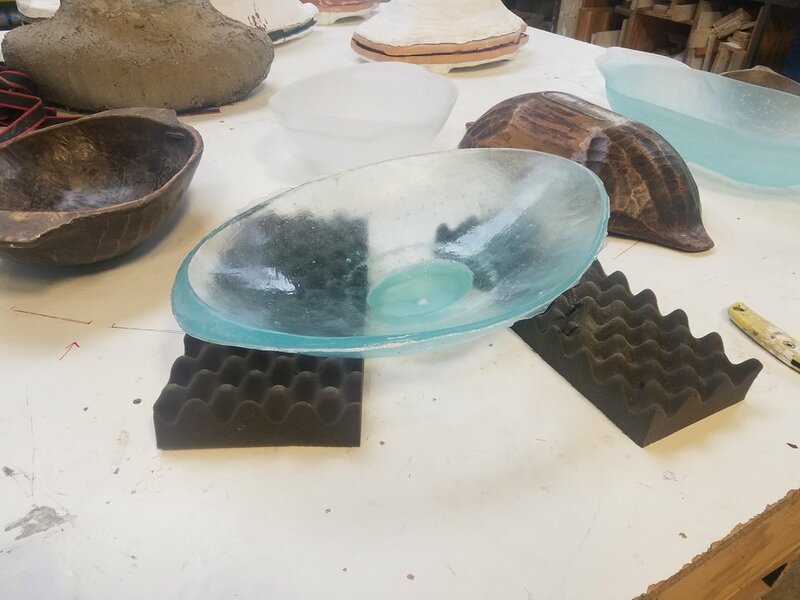 Translating surface and form into cast-glass printing plates, students will learn the fundamentals of rubber moldmaking, slumping, fusing, and investment casting alongside vitreography and hand printing. 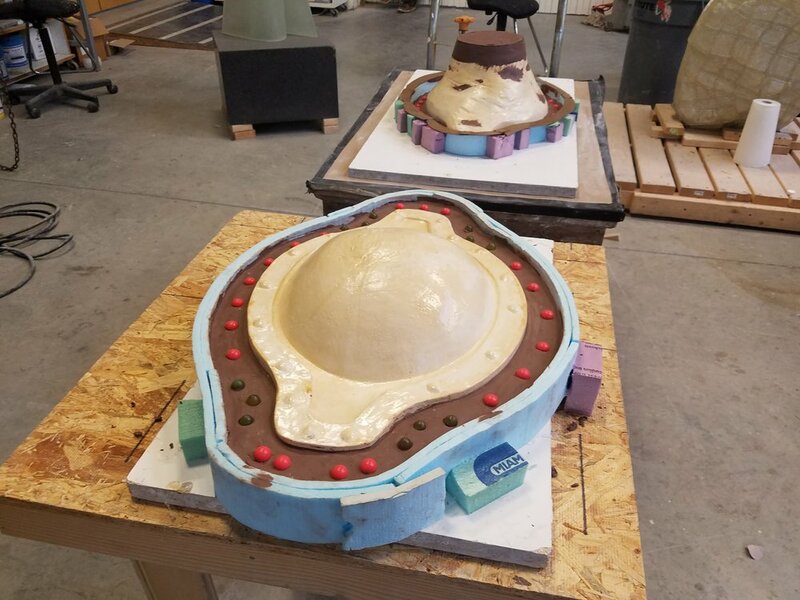 Students will identify the benefits of urethane versus silicone rubbers, and build skills using plaster, wax, and plastic components both open-face and in the round. Ruby Dorchester is a Denver glass artist and sculptor working with moldmaking and cast glass. Her work draws on her inherent curiosity of the natural world and the patterning that occurs within nature and the human form. Hannah Smith is a Boston printmaker interested in the intersection of imagery and materiality. 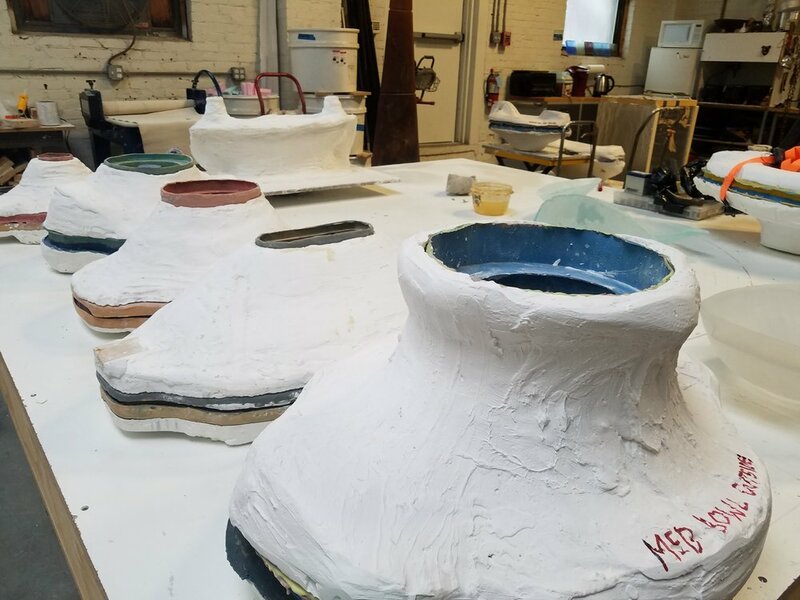 Previously awarded residencies at Zea Mays Printmaking, Massachusetts, and Pilchuck Glass School, she is coordinating a collection of essays on the topic of vitreography. 3d printing play! I’m having so much fun learning how to 3D print! I found this pattern and idea online—some were using this for costume and apparel design, I’m wondering if there could be interesting possibilities for mold making and/or printmaking? More to come! I’ve always wanted to experiment with patinas on copper and other metals and finally this weekend I set aside some time to play! 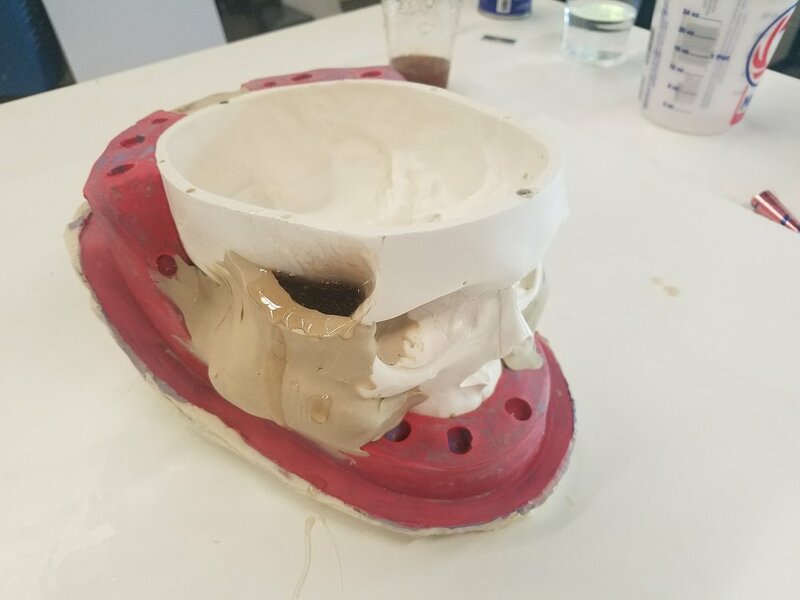 I didn’t have access to any oxy acetylene or similar torch setups (as seems to be preferred), but I was still able to get some really interesting and satisfying results using table salt, an ammonia bath and MAP gas. There were two basic methods that I ended up going with. The first was done completely cold and used an ammonia bath as seen below. The second used heat, and was achieved by applying salt to the copper’s surface and heating the work from below with MAP gas. Each copper sheet is cleaned, sanded and then cleaned again. Salt is applied to the surface and then sprayed with an ammonia solution (straight ammonia produced truer, brighter blues, while ammonia solutions mixed with cleaning agents produced lighter, greener tones). The pieces are then set above an ammonia bath, and sealed inside a container creating a “fuming” setup. The longer the pieces sit, the more the colors continue to beautifully intensify. Finished copper patinas. These pieces can be further sanded to expose more of the copper beneath, or left as is, beautifully blue! This patina was achieved by applying salt to a sanded and cleaned copper surface. 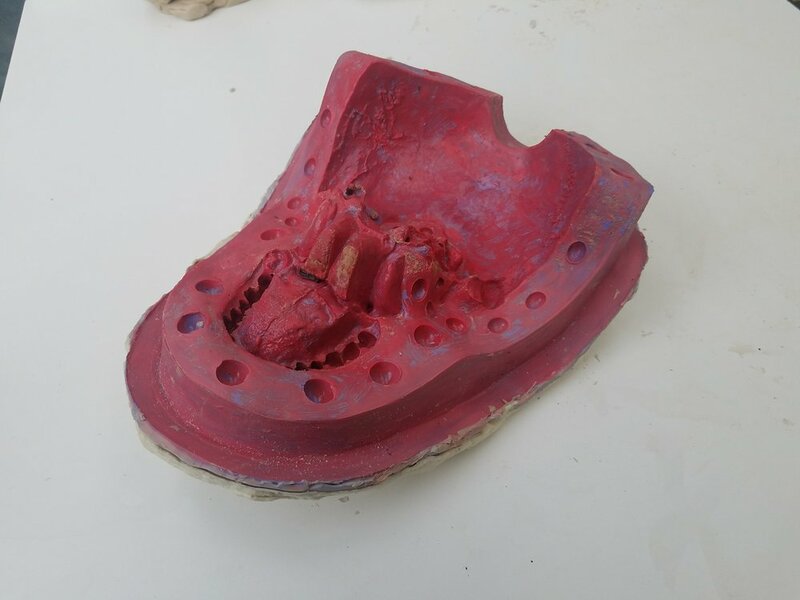 I then propped them up on soft kiln bricks, and torched the metal from below with MAP gas. As the salt bubbles and dissolves I continue to add more until the entire surface has a sooty, black look. Sanding through the soot revealed beautiful warm reds, yellows, and orange tones. Ready to ship! Washing and prepping to ship three custom cast glass table tops. A test melt of layered copper foil, sheet glass and glass frit. 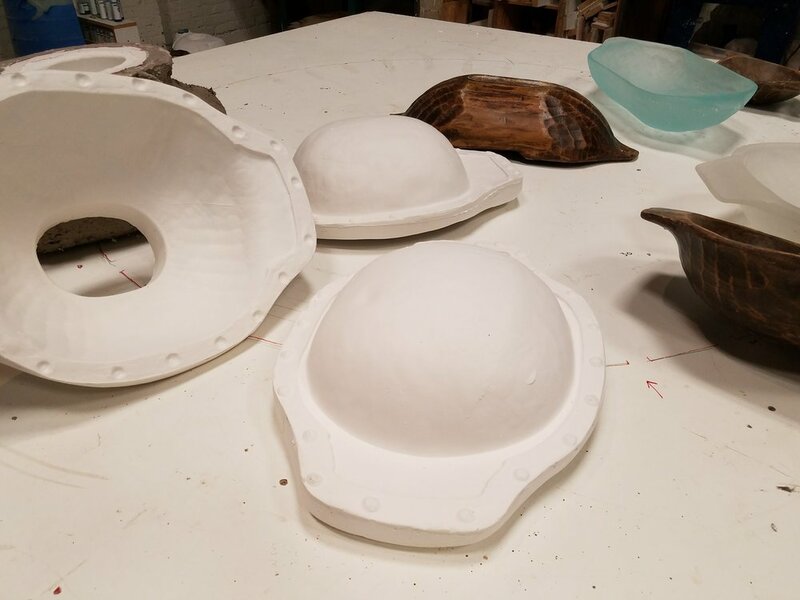 Working on Daniel Clayman’s Boulder Series has been such an amazing lesson in making. 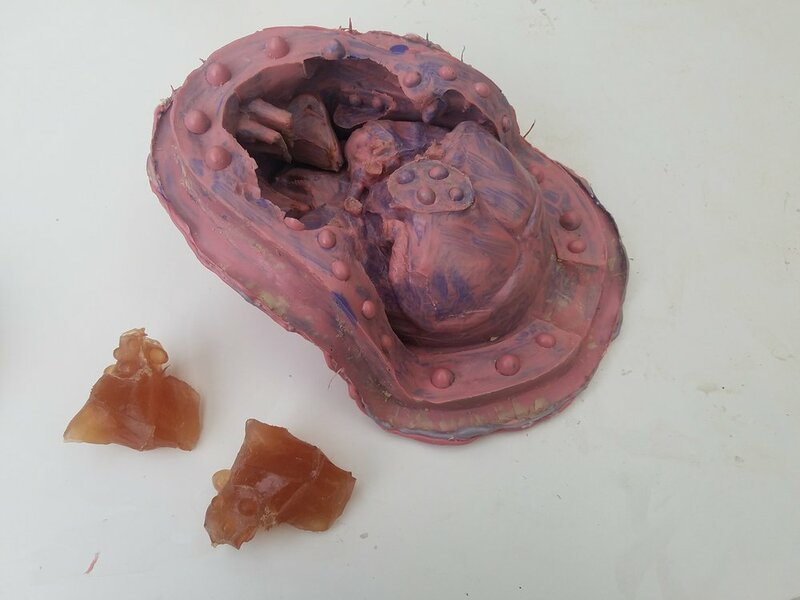 I’ve learned new techniques in mold making and casting, how to work with metal leafing and glass, and how to assemble large-scale cast works made up of over 100 unique pieces! While I wasn’t with the studio at the conception of the project, I was able to help complete this monumental project, which was years in the making. Here are some of the highlights from this project, from beginning to end!